No more eating ‘al desco’. 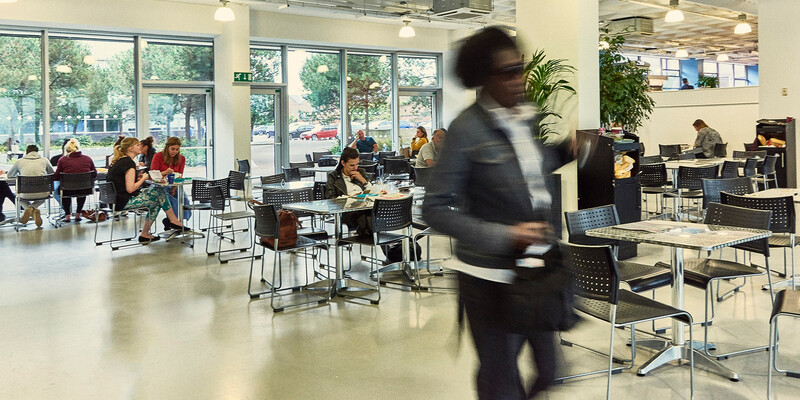 You can easily pop from the office to the Universal Square restaurant for everything from Costa Coffee to a hot meal of the day. All complemented by Paninis, jacket potatoes and our ‘fill n finish’ baguettes (add your choice of salad and relishes to create the baguette of your choice). And because free Wi-Fi is available, you can be too.